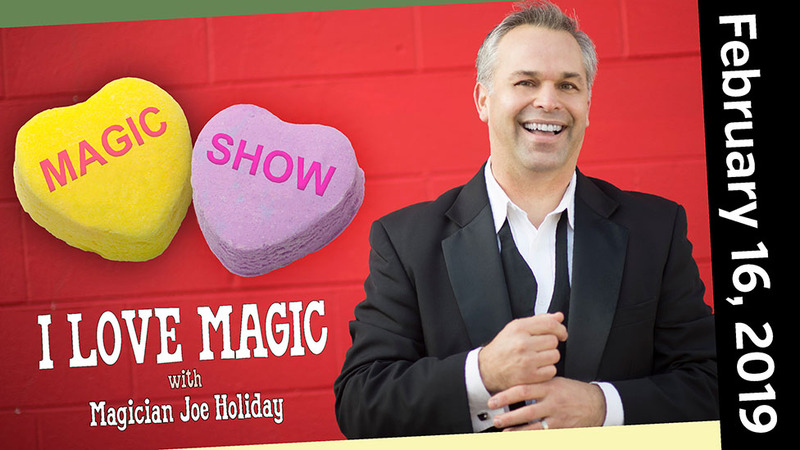 The ever-popular Joe Holiday is back with breath-taking feats of magic and illusion that you're sure to LOVE. Award winning Magician Joe Holiday returns with a unique and exciting magic show for the entire family. Witness breath-taking feats of magic and Illusion with a Valentine�s Day theme. A mix of traditional and classic magic effects with state of the illusions that with bend reality and make you question what is possible. You may even have a chance to join the show on stage and be a part of the magic! Bring your loved ones to this family magic show and experience something truly unforgettable!